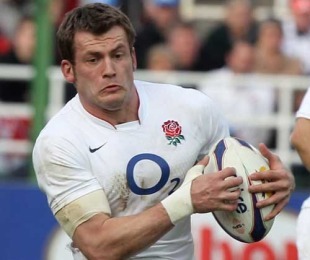 Mark Cueto has been passed fit for England's Six Nations showdown with Ireland at Twickenham on Saturday after recovering from a stomach bug. The Sale Sharks winger did not train on Wednesday, prompting team manager Martin Johnson to summon uncapped Northampton wing Chris Ashton to England's base at Pennyhill Park as cover. However, Cueto has made a full recovery and will take his place on the right wing for the visit of the reigning Grand Slam champions. As a result, Ashton has been released and will line out for the Saints in Saturday's pivotal Guinness Premiership clash with Leicester Tigers at Franklin's Gardens. Cueto is the fifth England player to suffer from illness so far during the tournament, with skipper Steve Borthwick, lock Simon Shaw and centres Toby Flood and Shontayne Hape having recovered. Only Hape was forced to miss a game, pulling out of the opener against Wales on the morning of the game.